Wildwood 365: Holiday 2018 events in the Wildwoods! 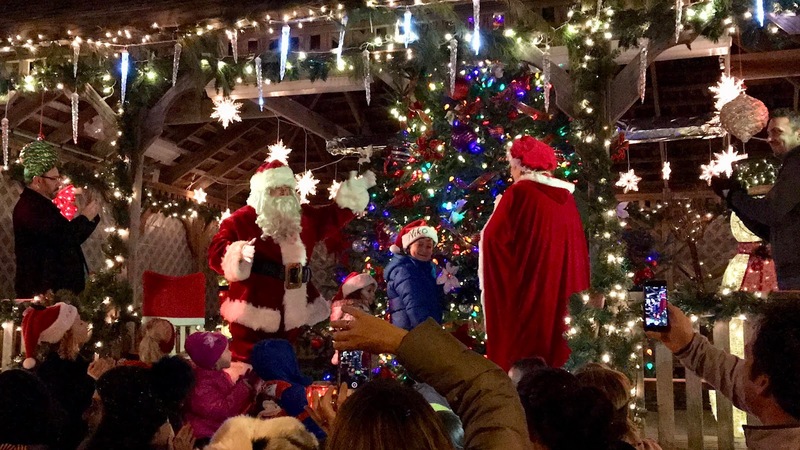 Holiday 2018 events in the Wildwoods! With festive activities and holiday events, along with exciting year-round attractions, there are plenty of ways to create holiday memories in this resort town. Check in to the Wildwoods; then check out the many ways to make the holiday season special for you and your whole family. 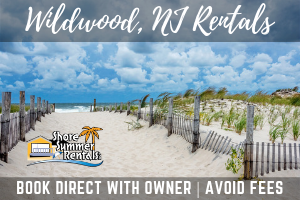 A number of Wildwoods hotels are open during the holiday season, and a number of vacation rentals are offering low, off-season rates and specials. 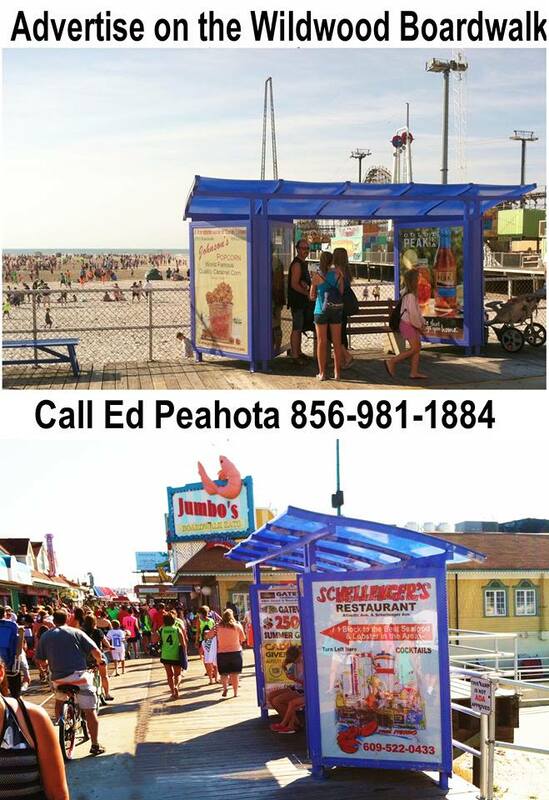 Visit www.WildwoodsNJ.com/Wildwood-Accommodations to see a list of places to stay in the Wildwoods. 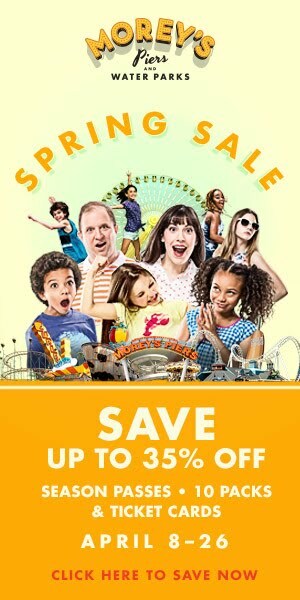 Looking for something fun for the whole family? Take a day trip to the Cape May County Park & Zoo. Enjoy 85 acres of wildlife habitat with free year-round admission. You will discover more than 500 animals – including snow leopards, African lions, and bald eagles. For more information on the Cape May County Park & Zoo, please visit www.capemaycountynj.gov. If relaxation is on your holiday bucket list, there’s plenty of “chill” activities to enjoy. Be awed by mother nature with a mesmerizing sunrise and morning stroll along the beach; grab your walking shoes and binoculars and spend a day wandering through a local nature preserve; or enjoy a relaxing bike ride on the famous Wildwoods’ Boardwalk or a romantic stroll along the water’s edge. End the day with an awe-inspiring, spectacular sunset viewed from the banks of beautiful Sunset Lake in Wildwood Crest. Kick off the holiday season with the annual Family Holiday Celebration at the Wildwoods Convention Center! It will be sparkling with holiday lights and filled with the sounds of holiday music as the FREE Wildwoods Family Holiday Celebration continues from 9 a.m. - 4 p.m. with a full day of shopping, crafts, face painting, local school children’s choruses & band performances, music, dance performances, a magician, FREE holiday movies and a special visit from Santa Claus. New for 2018, there will be a Christmas on the Plaza event at Byrne Plaza at Oak and Pacific Avenues in Wildwood. This event will feature a craft bazaar, children's entertainment, music and refreshments! Hours are Friday, 5-10 p.m. and Saturday, 11 a.m. - 7 p.m.
Also on Friday, December 7, it’s the Hereford Inlet Lighthouse Christmas Tree Lighting from 4:30 p.m.-7:30 p.m.! The festive ceremony will take place at the Hereford Inlet Lighthouse Courtyard, 1st & Central Avenues, in North Wildwood. The event includes music, refreshments, a free tour of the lighthouse and Santa Claus! Admission is free. For additional information on the Hereford Inlet Lighthouse Christmas Tree Lighting, call 609-522-2955 or visit www.NorthWildwood.com. There will be a Christmas concert & holy nativity featuring The Notre Dame de la Mer Parish's Adult, Contemporary, and Children’s Choirs accompanied by brass, strings, woodwinds, percussion, piano and organ under the the direction of Jonathan Delgado. The event begins at 6 p.m. at Saint Ann Church at 2901 Atlantic Avenue in Wildwood. A free-will offering will be taken.